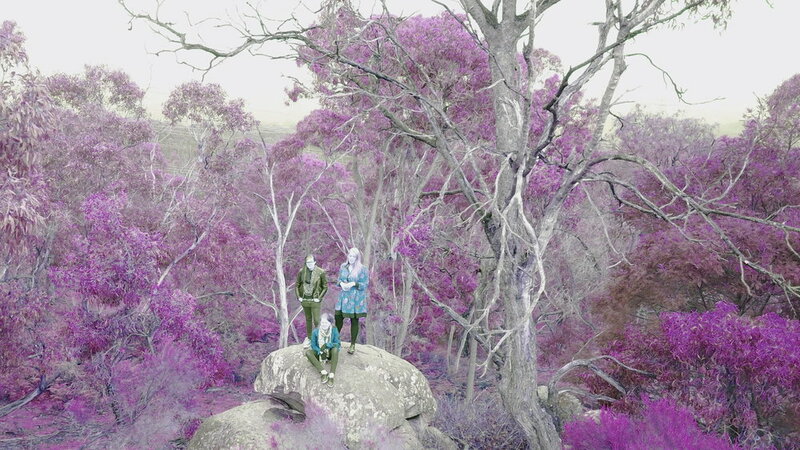 Lijuka are a Melbourne based trio whose unique sound swings from ambient drone based musings to jazz-infused grooves. This vocal/saxophone/drums/guitar combo draws on acoustic and electronic elements, such as live-looping and real-time sound manipulation, to create a rich aural landscape. Heavily influenced by their studies in contemporary jazz, improvisation, ambient music, soundscapes and film scores their music aims to conjure vivid imagery in the mind of the listener. Hyelim Kim is an internationally-acclaimed Korean musician, based in London, who is a virtuoso on the taegŭm (the traditional horizontal bamboo flute). A multi-award winning PhD who has performed in New York and London, she is acknowledged as a young performer who has taken a leading role in breathing new life into Korean traditional music, recording both traditional works and her own compositions. For this concert, 'Scattering Rhythms', she is collaborating with Australian musicians Simon Barker (drums) and Peter Knight (trumpet & electronics). Barker has a significant history of serious study of traditional Korean music, while Knight has previously collaborated with several traditional Asian musicians through his work with both ‘Way Out West’ and the Australian Art Orchestra. This concert will be sponsored by the Korean Arts Council to strengthen the cultural connections between Korean traditional musicians and Australian contemporary musicians. This project will be linked with other relevant projects led by the Australian Arts Orchestra and the University of Melbourne, and will focus on Korean music.